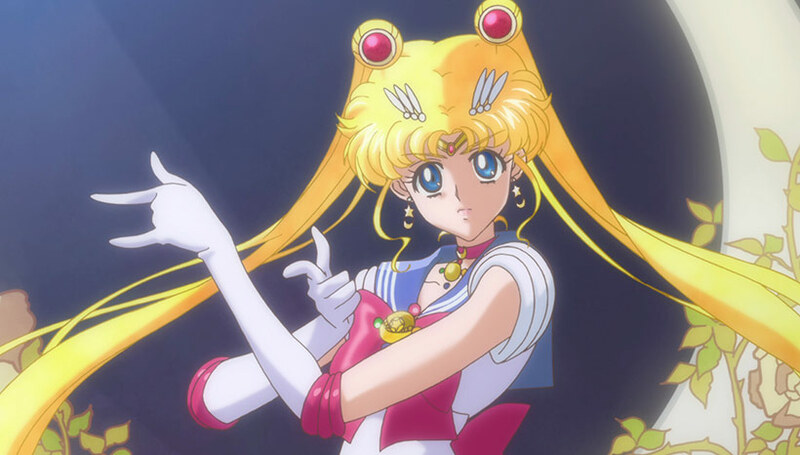 Sailor Moon Crystal debuted on 5 July 2014 after a number of years of speculation, rumour and production delays. 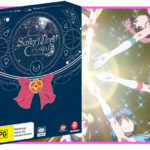 Essentially a reboot of the 1990s series, Toei went back to work with manga author Naoko Takeuchi’s legendary series and give it a fresh look with modern production values. 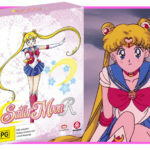 The final result is an interesting revisit to one of anime’s most successful cross-cultural properties, with this lavish box set from Madman presenting a beautiful excuse to hang out again with Usagi and co more than 20 years since it hit the airwaves. 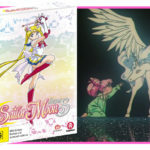 Sailor Moon Crystal Set 1 covers the first arc of the Sailor Moon universe and should be familiar to fans of the original adaptation and the manga. Namely, lazy Usagi Tsukino gets visited by a talking cat who gives her a magical broach that transforms her into Sailo Moon in order to save earth from Queen Metallia’s Dark Kingdom. Since Usagi can be a bit rubbish she’s eventually joined by four other middle school girls who also enjoy hanging out with talking cats. A bishi-bishi dude dons a tuxedo and has a pash with Sailor Moon thereby discovering they were lovey-dovey in a previous life. Monsters of the week are led by evil bishi-bishi dudes, eventually leading to a (drawn-out) final confrontation where Sailor Moon saves the universe by waving her wand around and believing in her sense of awesomeness. Yes, the TL;DR makes it sound silly, and to be objective it is. But as with the original adaptation, the characters and world-building overcome its shortcomings and it does make for an otherwise satisfying magic girl adventure if you’re so inclined. 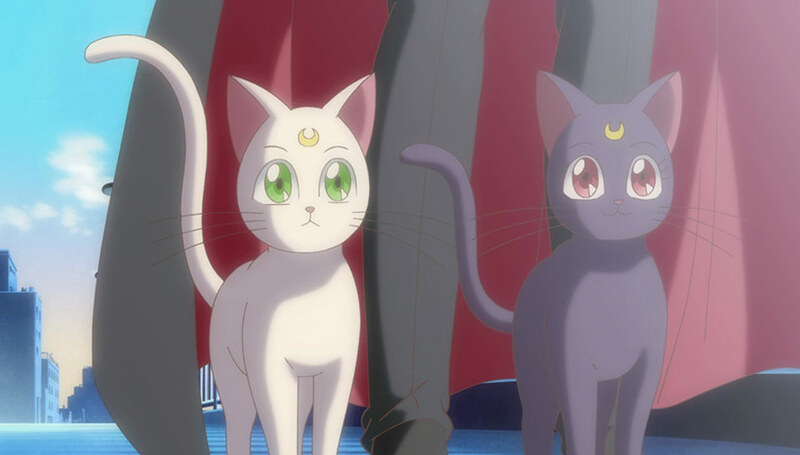 Fans of Toei’s previous adaptation of Sailor Moon (which we’ve been reviewing) will note some interesting changes. 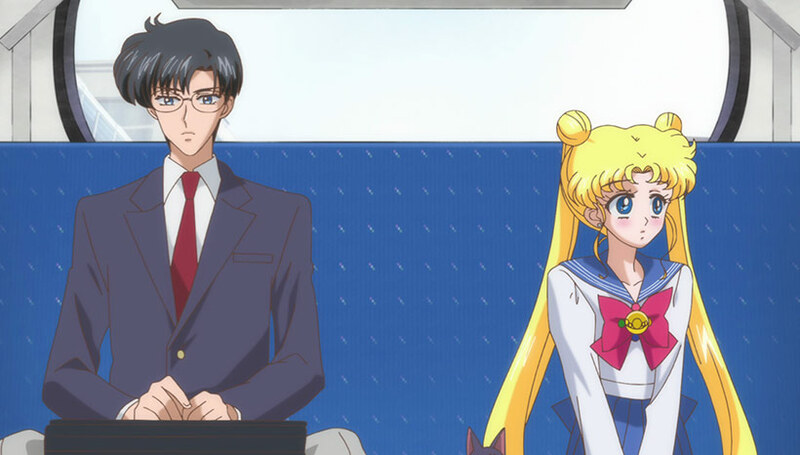 The art style in Sailor Moon Crystal is more reminiscent of Takeuchi’s original manga, boasting flair and pomp that reflects the series’ early-90s shoujo roots. It’s even nice to see some slight variations on the costume designs, such as Ami’s sleeveless bodice and Minako’s omnipresent chain/belt. There’s a lot less inconsistencies between keyframe direction that we saw in the original and less canned animations, resulting in many of the action sequences coming across as reasonably dynamic too. The story arcs also follow the manga much more closely (handy given Kodansha’s recent-ish releases), creating some contrasts to those like myself who’ve probably spent more time with the animated equivalent of this storyline. This includes an interesting back story on Queen Beryl and her henchmen, the age difference between Mamoru and Usagi has been reduced so the former is in high school rather than university and the pace is significantly faster with less filler. This is pretty obvious in terms of episode count, with season one of the 1990s adaptation clocking in at over 40 episodes compared with season 1 of Sailor Moon Crystal which wraps up in just 14 episodes. But despite the trappings and more efficient storytelling, there are areas where it didn’t quite reach its full potential. The production values create a more consistent approach and applies more modern aesthetics, but it falls over in a few areas. The use of CG for the henshin sequences is technically impressive, but ultimately suffers from uncanny valley syndrome. Some of the minor scenes have some pretty rough animation and art direction too, but this isn’t something unique to Toei’s handling of Sailor Moon given what we’ve seen recently with Dragon Ball Super. The storytelling is also interesting in how it’s been handled. The 14 episode length means the majority of the filler has been discarded so it’s definitely leaner, but with the drop in length we’ve consequently seen a reduction in the slice of life scenes and the character development of the cast outside of Usagi and Mamoru is lacking. We also see instances of team-up attacks coming out of nowhere and the repetition dilutes its impact. The concluding episodes also come off as a little long-winded, suffering from something of a Dragon Ball complex. In contrast, the conclusion of the first arc of the original TV series contained much more gravitas and was a fantastic and satisfying conclusion, with it’s only arguable checkpoints being the lack of Kotono Mitsuishi voicing Usagi and dialing in the monsters of the week. 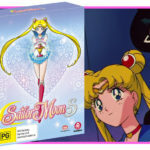 I realise I may be hypercritical when discussing some of the core of this release, and that’s only natural as a fan of Sailor Moon in its many formats. The adaptation does improve as the series continues (season 3 screened earlier this year and managed to make good on many of its predecessors’ shortcomings), so in that sense it’s hardly doom and gloom. Some of the decisions, such as Kotono Mitsuishi reprising her role as Usagi, is of superb benefit to Sailor Moon Crystal as a whole and a nice nod to fans of the original adaptation. Mamoru and Usagi’s relationship in general is handled better as well, with the couple often stealing a smooch without the overblown drama of the original adaptation (though I found it interesting that Usagi’s family never questioned her staying the night at Mamoru’s apartment!). Minako’s slice of life characterisation wasn’t really explored in this season, but her role as Sailor V-turned-Sailor Senshi is actually much more interesting than how it was handled previously. It’s probably a case that with a few tweaks it would be possible to elevate it even further. Such is the nature of 20 years of fandom I guess! 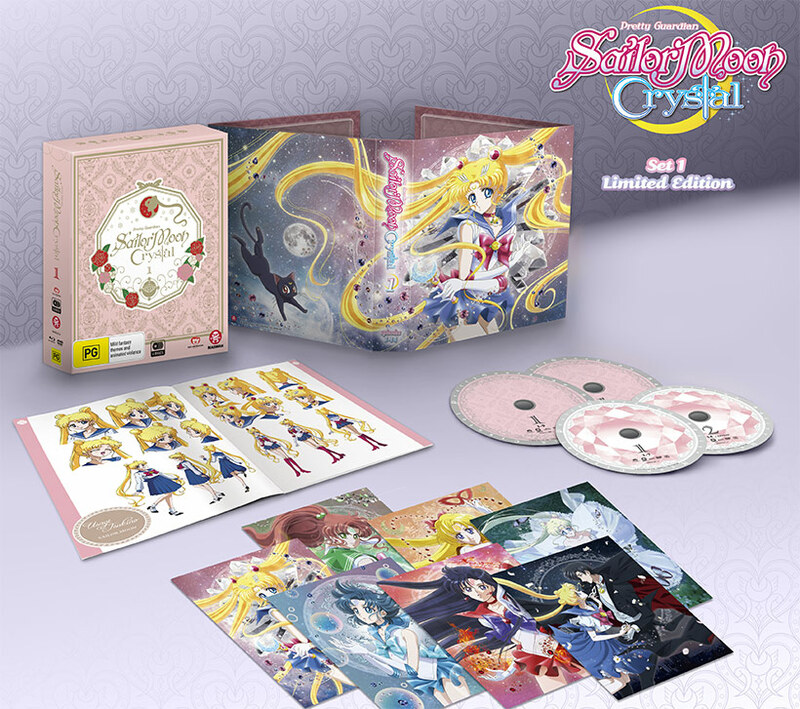 The packaging of this Limited Edition release of Sailor Moon Crystal is absolutely superb. The LE is presented in a foil-embellished package containing the 2 blu-ray discs on the left, the 2 DVDs on the right, a beautiful set of prints and a high-gloss artbook too. The photos don’t really do this justice – you need to see it in person to really appreciate the amazing finish. The release itself on blu-ray looks superb – encoding is tight, there’s no obtrusive artefacting and in those sequences where Toei funnelled the production budget, it really looks sensational. Extras are lean and probably something of a missed opportunity as a retrospective would have been nice to commemorate the reboot, but at the end of the day the core package has focused on delivering the show with fantastic encoding. 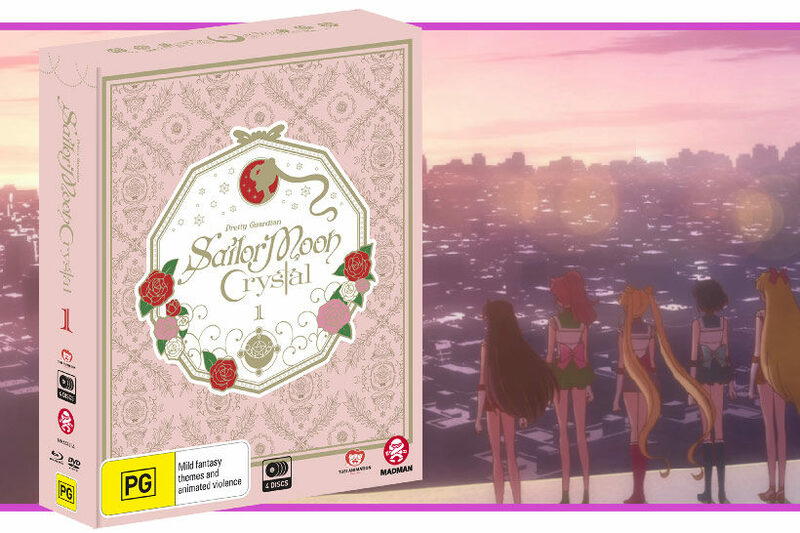 Sailor Moon Crystal Set 1, especially the Limited Edition, is a fantastic release that’s ultimately let down by some of the creative choices made in its production. Fans of Sailor Moon may well be divided on how Crystal has turned out, but for me I very much enjoyed this release and it looked glorious in HD. I can’t wait for the release of set 2!